The Cultural Cities Enquiry conducted expert interviews, round table discussions and evidence submissions between April and July 2018 to develop, it says, a new model to help culture flourish in UK cities in the context of diminishing public funding. The enquiry and subsequent report has been sponsored by Arts Council England, Arts Council of Wales, Creative Scotland, Belfast City Council, Core Cities and Key Cities, resourced by Virgin Money and supported by London Councils and Arts Council Northern Ireland. The Enquiry, chaired by Dame Jayne-Anne Gadhia, chief executive officer of Virgin Money UK and Tate trustee, outlines how UK cities can ‘make greater use of cultural assets to promote thriving communities and to compete successfully for talent, tourism and investment’. Through this process it is hoped that new income streams will be developed that will support culture for the long term. The report also highlights the important role culture plays in attracting people to cities as places they want to work, live, and play. 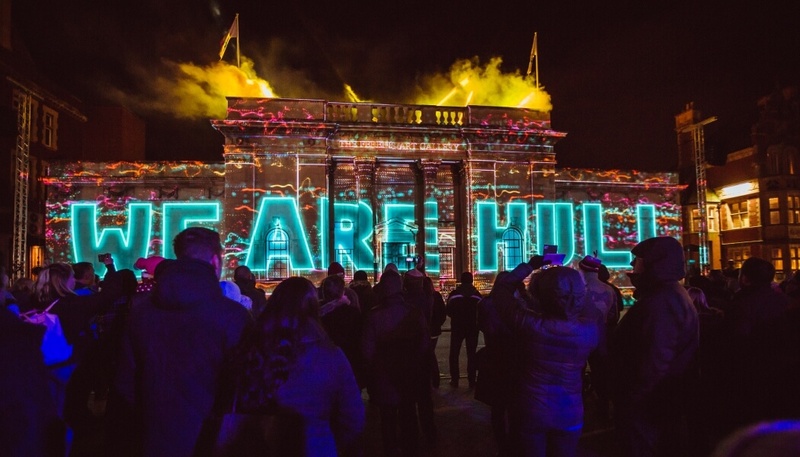 To aid growth in UK cities, the report has created key recommendations in the form of Cultural City Compacts that will bring together civic leaders and partners from culture, business, and education, to make best use of resources and secure the social and economic benefits that come from embedding arts and culture in civic life. These Compacts, the report says, will deliver against local priorities such as regenerating high streets and post-industrial quarters, establishing creative clusters, developing tourist revenue, supporting local creative talent and building civic engagement. She also said the report demonstrates how business and cultural sectors can work together to plan and support local growth through culture, based on their shared interests in promoting creative and digital innovation, capturing external investment and attracting and nurturing talent. Download the Culture Cities Report. • The UK’s cultural sectors, subsectors of the Creative Industries, were worth £10.9bn GVA in 2017. That’s an increase of 57% since 2010, and 0.6% of total UK GVA. • UK invests less on culture than EU counterparts, spending around 0.3% of GDP, under half of the equivalent in France or Denmark (0.8% and 0.7%) and lower than the EU average of 0.5%. • UK public investment in culture has fallen by over £0.5bn over the past 4 years, from £4.4bn in 2012/13 to £3.9bn in 2016/17, a reduction of 11%. • Local authorities are still the biggest funders of culture across the UK, but this income stream has seen the largest contraction – 80% of the net loss in funding. This is the context of a fall in Government funding to local authorities by almost 50% since 2010.